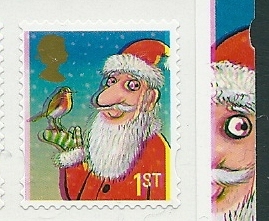 A reader has sent this picture of the 2nd class 2012 Christmas stamp received today. It's the sort of view that Santa might have after a few too many sherries on the night of 24th/25th December. We're used to minor mis-registration of the colours on modern stamps produced on high-speed presses, especially on the booklets produced by Walsall, but this is a spectacular shift! It's difficult to be sure from this image but it doesn't look like the De La Rue sheet version. 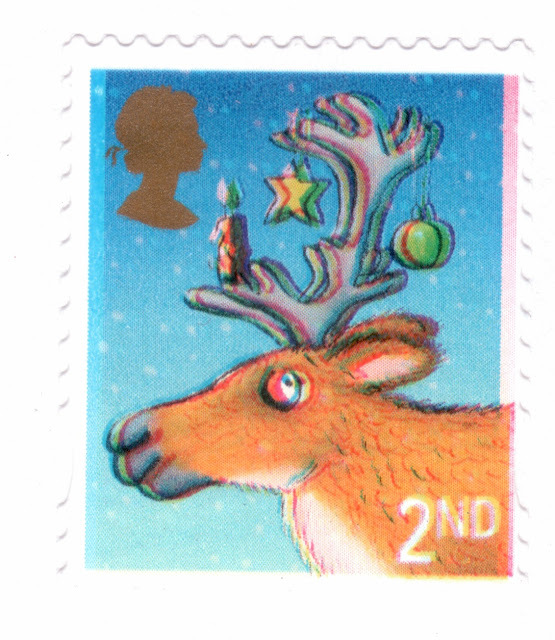 UPDATE: H J R has sent this image from the 1st class booklet, so it's not just Rudolph!